On April 5, 2012, the Second Circuit Court of Appeals issued its long-anticipated ruling in Viacom International Inc., et al. v. YouTube, Inc. The case has implications for companies with websites that permit the posting of user-generated content or third-party content and may impact a defense to copyright infringement under the Digital Millennium Copyright Act’s (DMCA) “safe harbor” provisions. The District Court, in June 2010, held that even though a jury could find YouTube was generally aware of the uploading of infringing content to its website, it had no liability for infringement because it had designated an agent for the receiving of take-down notices and the swift removal of the infringing content upon receipt of the notices. The court stated that to find YouTube liable, Viacom would have to show YouTube had actual knowledge that a particular clip was infringing; it was not enough to have general knowledge that infringing content was present on the site. The Second Circuit, on appeal, affirmed in part and reversed in part the district court’s ruling. While the Second Circuit affirmed the district court’s finding that the DMCA requires actual knowledge of specific infringing activity, it remanded the case because it found that a reasonable juror could reasonably find YouTube did, in fact, have such specific knowledge. Ruling that the willful blindness doctrine could be applied in certain situations under the DMCA, the court further remanded to determine whether YouTube was “willfully blind” to infringing activity on its site. Finally, while the court affirmed the district court’s holding that the “right and ability to control” infringing activity requires item-specific knowledge, it remanded the issue for further fact finding, despite the court’s reluctance to articulate the level of knowledge that would be needed to find the requisite control. While additional appeals in the Second Circuit appear likely, the Second Circuit’s ruling, at this time, emphasizes the increased need for online service providers to be proactive in complying with the DMCA (e.g., acting on specific facts that may be obvious signals of copyright infringement), rather than just waiting to receive a takedown notice. It also shows that it will be more difficult for online service providers to prevail on a motion for summary judgment in cases involving the DMCA’s safe harbor provisions. Online service providers and content owners will definitely be watching how this case continues to develop. Back in December 2010, in the case of Costco Wholesale Corp. v. Omega S.A., 131 S. Ct. 565, 96 USPQ2d 2025 (2010), Omega brought suit against Costco after Costco legally acquired Omega watches from a distributor and sold the watches for almost $700 less than the suggested retail price after the watches, which were manufactured overseas and intended for sale outside the U.S., were imported into the U.S. The case was notable because manufacturers typically attempt to block the importation of goods through counterfeit claims or claims of trademark infringement. 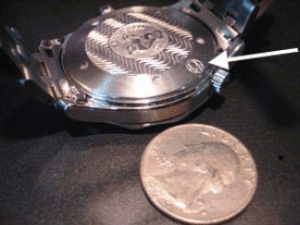 In this case, however, the goods in question were genuine, so Omega attempted, with success, to block Costco’s sale of the gray-market goods through a copyright infringement action by asserting an interest in a copyright of a logo that was shown on the watch. The Supreme Court on April 16, however, accepted an opportunity to revisit the issue, when it granted certiorari in Kirtsaeng v. John Wiley & Sons, No. 11-697. The case, which will be heard the next term, involves Supap Kirtsaeng, a native of Thailand, who came to the U.S. for his college and graduate studies. Kirtsaeng decided to help pay for his education by selling textbooks online. Kirtsaeng’s family and friends in Thailand would purchase foreign editions of textbooks that were manufactured abroad and send them to Kirtsaeng to sell for a small profit on eBay. John Wiley & Sons (Wiley), a publisher of those textbooks, sold the textbooks abroad through an Asian subsidiary, with a percentage of the profits going back to the parent company. Wiley brought suit in federal court for copyright (and trademark) infringement against Kirtsaeng. Kirtsaeng argued that his sales were permissible pursuant to the first-sale doctrine, i.e., that Wiley could not stop the reselling of its goods. His argument was rejected by the court, which stated that the doctrine did not apply to goods made overseas. A jury then found Kirtsaeng intentionally violated Wiley’s copyrights and awarded Wiley $600,000. The decision was upheld by the Second Circuit which, however, noted the “undesirable” public policy implication of following the Ninth Circuit’s reasoning in Costco, which essentially gives companies incentive to outsource their manufacturing. A dissent, however, argued that a copy of a work made outside the U.S., with the authorization of the copyright owner, could constitute a work “lawfully made” under the Copyright Act. The Court’s decision will likely be determined by Justice Kagan, who will be able to participate this time around and present the key vote. The outcome of the case will undoubtedly have a major impact on the gray market, that is, the trading of commodities through distribution channels which, while legal, are unofficial; unauthorized; or unintended by the original manufacturer, much like the Costco case. With the ever-increasing practice of producing goods overseas, businesses will also need to pay close attention for the Court’s decision, as they will need to be aware of whether goods that are lawfully manufactured and sold abroad may be subject to copyright infringement actions if they are imported into the U.S. without the copyright owner’s authorization. Luxury brands are very protective of their names (e.g., the movie “The Hangover Part II” and Louis Vuitton, anyone?). Perhaps, then, it should come as no surprise to hear that Milanese fashion label Dolce & Gabbana filed a trademark infringement suit against a small boutique in Cape Town, South Africa, that decided to name itself “Dolce & Banana,” and sells jewelry made out of driftwood and shells. The Italian company filed its suit in the Western Cape High Court and alleged that the boutique “makes a mockery of the well-known trademark, Dolce & Gabbana” and demanded that Dolce & Banana change its name. Perhaps Dolce & Gabbana considered the offense of making jewelry out of driftwood and shells as more of the mockery than the use of the Dolce & Banana name. Regardless, Mijou Beller, the owner of Dolce & Banana, said she was first contacted by the fashion house six years ago and sought the help of an attorney to tell it that it did not have a trademark on jewelry, or any stores in South Africa, for that matter. Dear Stefano, please let us be. And visit us in Cape Town. I have always admired your famous sense of humor so present in your brand and in your designs. And although I appreciate that Dolce & Gabbana is a very successful commercial enterprise, I fail to understand why Dolce and Banana is a threat. Perhaps Beller’s last words are most relevant. Is Dolce & Gabbana merely doing its job to police protect its mark, or is it just bullying a small business? Oddly enough, here in the U.S., Dolce & Gabbana opposed the trademark of a children’s clothing line for … “DOLCE & BANANA” … in 2009. The trademark, as seen here, however, has since been registered in 2010. The United States Patent and Trademark Office (USPTO) has announced that it will hold its annual Regional Independent Inventors Conference on April 27-28, 2012, in Tampa, Fla. at the Embassy Suites located on the campus of the University of South Florida as one of its many outreach programs to assist independent inventors. Teresa Stanek Rea, Deputy Under Secretary of Commerce for Intellectual Property and Deputy Director of the USPTO, will deliver the featured keynote speech of the conference. “The creative work of innovators helps drive our economy,” said Rea. “We know that intellectual property-intensive industries support at least 40 million jobs and contribute more than $5 trillion to the U.S. gross domestic product, and we want to reach out to and support the people who make that growth possible.” Rea will speak at Friday’s conference luncheon. The conference will feature practical advice and information for novice and seasoned inventors provided by numerous experts and employees of the USPTO. Topics will include patent and trademark searching, claim drafting, and the ongoing implementation of the America Invents Act. Specialists will conduct workshops and be available for one-on-one conversations. In a highly anticipated decision, on March 20, 2012, a unanimous Supreme Court of the United States held that claims directed to a diagnostic method were not patent-eligible under 35 U.S.C. § 101 because the claims were mere applications of the laws of nature, and because the additional steps that were claimed in the methods did not add anything “of significance to the natural laws themselves.” Mayo Collaborative Services v. Prometheus Labs., Inc., 566 U.S. ___ (2012). Mayo, who had previously purchased and used patented diagnostic tests sold by Prometheus, began to use and sell its own competing diagnostic test in 2004. Prometheus filed a patent infringement suit in response. While the district court found that Mayo’s test infringed, it ultimately found the patents were invalid as being subject matter ineligible for patent protection under 35 U.S.C. § 101. The Federal Circuit reversed on appeal and found that the claims met the “machine or transformation test.” The Supreme Court granted certiorari when Mayo appealed, but remanded the case for reconsideration in light of the Supreme Court’s then-recent holding in Bilski v. Kappos, 130 S. Ct. 3218 (2010). On remand, when the Federal Circuit found in Prometheus’ favor once more, Mayo appealed again. While laws of nature are not, alone, eligible for patent protection, applications of the laws of nature may be. Prometheus argued that “administering” the drug, the “wherein” clauses telling about the relevant natural laws, and “determining” the level of metabolites were enough for patent protection. The Court, however, was unconvinced, finding that the patent merely instructed doctors to engage in “well-understood, routine, [and] conventional activit[ies] previously engaged in by those in the field” and, in effect, simply told doctors to “apply the law somehow when treating their patients.” The Court contrasted the claims at issue with patents directed to new drugs or new ways of using existing drugs. This decision, which comes less than two years after its decision in Bilski v. Kappos, marks the Court’s second recent major decision in the field of patent-eligible subject matter of method claims. It should also be noted that, on March 26, the Supreme Court granted certiorari in the high-profile “breast cancer gene” case, Association for Molecular Pathology v. Myriad Genetics, No. 11-725, and remanded the case back to the Federal Circuit to reconsider its decision to uphold patents held by Myriad Genetics on two isolated genes, i.e., BRCA1 and BRCA2; associated with a high risk of breast and ovarian cancer, in light of its decision in Prometheus. The case involves the ethically charged but commercially important question of whether the isolated genes are patentable due to the fact that they are different from naturally occurring molecules. Whatever the outcome at the Federal Circuit, however, it is highly possible that the Myriad case will reappear before the Supreme Court. a quattro G design, which features repeating interlocking G’s in a diamond pattern. Gucci is seeking monetary damages totaling over $124 million. 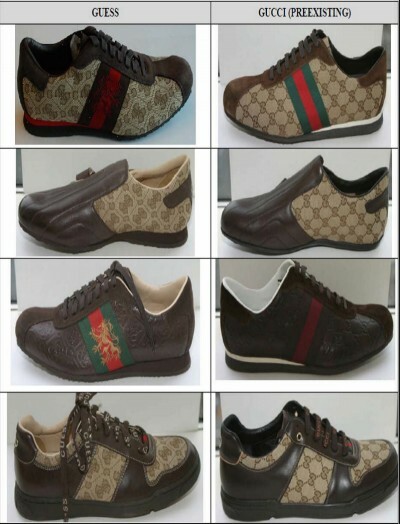 In the court’s order denying Guess’ motion for summary judgment (with a few exceptions), the court found that Gucci presented reasonable assertions that: Guess produced goods that either copied or closely mimicked its designs; Guess acted in bad faith and developed designs that might cause consumer confusion through their “meticulous copying”; and Gucci produced evidence showing that actual confusion did occur. Guess argued that unless Gucci can produce evidence that a potential purchaser actually bought an allegedly-infringing Guess product instead of an authentic Gucci product in order to take advantage of confusion in the post-sale environment, Gucci’s post-sale trademark and trade dress infringement claims should fail. The court, however, held that Gucci need only show that post-sale observers are likely to confuse the allegedly infringing Guess products with Gucci products in order to avoid summary judgment on its infringement claims. The court further held that the test for post-sale confusion turns on an analysis of the several factors set forth in Polaroid Corp. v. Polared Elecs. Corp., 287 F.2d 492 (2d. Cir. 1961), including, in this case, any bad faith by the defendant and the relative quality of the products. The suit, originally filed by Gucci in 2009, has been delayed until recently because the two parties have been litigating over privileged communications, which Guess lost. The case, Gucci America v. Guess Inc., 09-4373, U.S. District Court, Southern District of New York (Manhattan), is likely to be resolved in the next two or three weeks. As an interesting side note, it has been almost a year since Gucci’s sister company, Yves Saint Laurent, became embroiled in a trademark battle with shoemaker Christian Louboutin over his trademark red lacquered soles. Candyland.com: an adult entertainment provider originally registered the candyland.com domain name. Hasbro, which owned the candyland trademark, sued the adult entertainment provider for the domain name and now owns the domain. Micros0ft.com: Zero Micro Software registered the micr0soft.com domain name with a zero in place of the second ‘o’. After Microsoft filed a protest, Zero Micro Software ultimately abandoned the domain. Vision Enterprises of Roanoke, TX then registered the domain, and it expired in 2007. Peta.org: The “People Eating Tasty Animals” organization obtained the peta.org domain name. To the disdain of the “People for the Ethical Treatment of Animals,” the domain name was suspended. Today, however, the domain name is in the hands of the “People for the Ethical Treatment of Animals” organization. Recognizing the potential of social media and/or social networking websites to serve as tools to enhance their businesses, businesses have also taken to develop their online presence on social sites such as Facebook, MySpace, Twitter, and YouTube. It is therefore becoming all the more important for businesses to be proactive in protecting their valuable IP assets in the age of social media. Seeking trademark protection is merely the first step for savvy businesses. Businesses would do well to register all of their trademarks as domains or as user names, page names, and group names with every social media site. As an example, Facebook allows its users to register URLs for their accounts that follow the format http://www.facebook.com/yourusername. IP-savvy businesses should register each of their trademarks as separate user names. Businesses should then implement monitoring services to detect instances of infringement. If, however, another party already has a domain, user name, page name, or group name that may infringe on your trademark, it is essential to understand the remedies that are available to you. When disputes over a domain name occur, an attorney may assist you to bring the domain dispute to arbitration pursuant to the Uniform Domain Name Dispute Resolution Procedures (UDRP) of ICANN. Parties may also turn to the courts, for more serious issues, by bringing federal claims of cybersquatting in a United States District Court pursuant to the Anti-cybersquatting Consumer Protection Act (ACPA). When a party violates your intellectual property on a social media website, the social media website may have internal dispute resolution mechanisms in place to report instances of infringement. The caveat, however, is that the website will typically attend to such complaints as they see fit. If the internal dispute resolution mechanism proves insufficient to address your needs, your intellectual property rights may also be enforced through more traditional dispute resolution mechanisms such as a cease and desist letter and/or litigation. Contact Maxey Law Offices to help you build and maintain your business’ online presence.